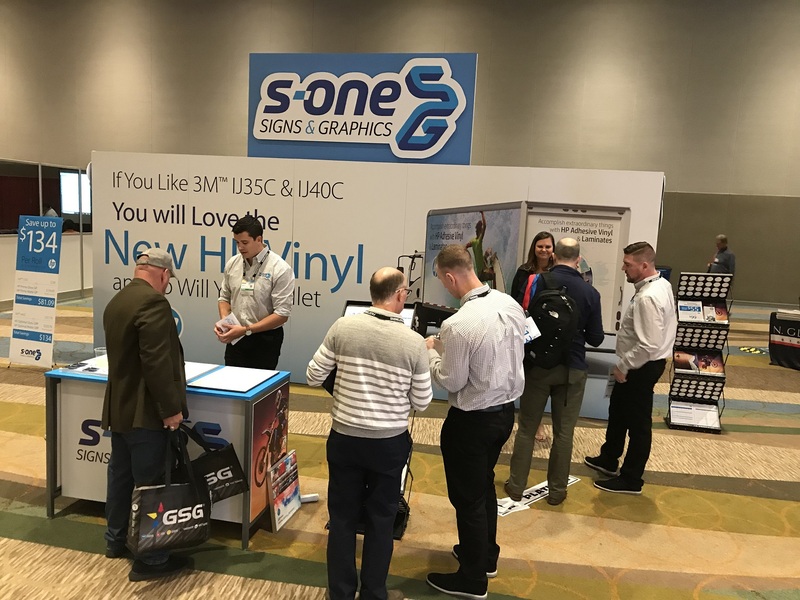 The 2019 International FASTSIGNS Convention was held Jan. 17 in Orlando, Fla., and the S-One Signs & Graphics (S-OneSG) team from LexJet was on hand to discuss the newest products available to all LexJet customers, including the FASTSIGNS franchises. 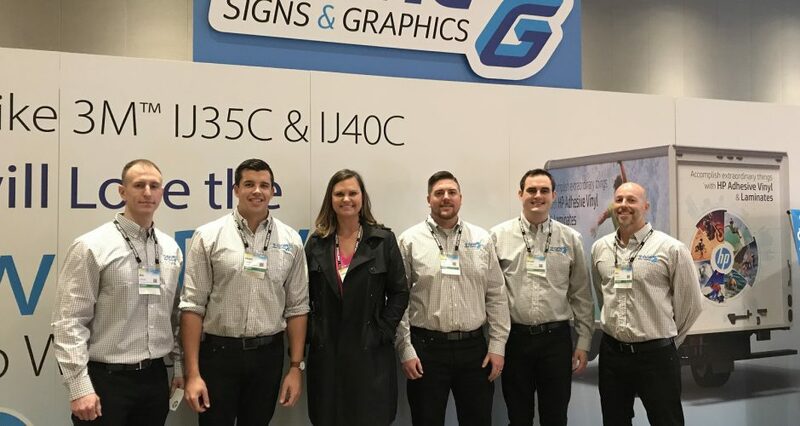 The team spoke with FASTSIGNS representatives from all over the country about profitable new opportunities: the latex printable EnduraFab™ Fabrics and SignComp SEG-less framing systems, which create clean, easy-to-install soft-signage displays when partnered together. 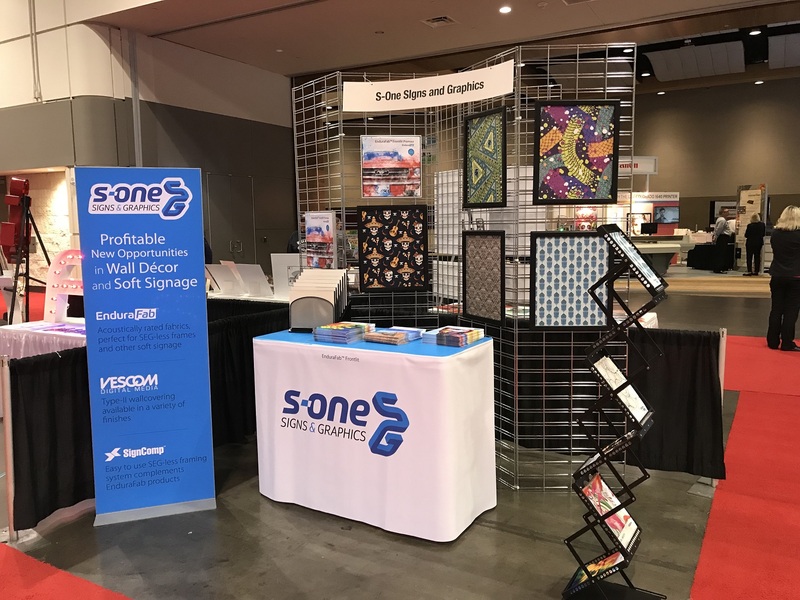 While the fabrics and framing were a hit in the Now Trending booth, it was the new line-up of HP Adhesive Vinyl that was the real star of the show. LexJet Sales Specialist Brian Feeney – who is not a professional installer – was on hand to show everyone how easy these products are to install, due to the air-release liner. The on-hand demonstrations certainly captivate an audience, but it is the cost savings per roll that always garners the most attention. 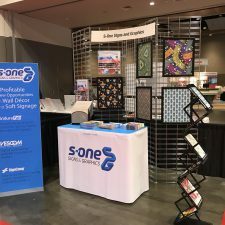 With such a price difference – as much as $0.20/sf savings based on MSRP – many people were pleased to discover the HP Adhesive Vinyl products would perform as well, if not better than, the products they are currently using. 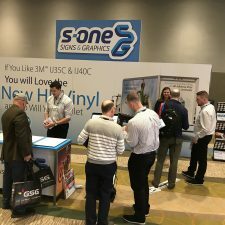 By the end of the show, the FASTSIGNS team members were excited to delve into new profitable markets as well as explore money-saving opportunities with LexJet and the S-OneSG team. If you would like to find out more about EnduraFab and SignComp framing or see how much money you can save with HP Adhesive Vinyl, give us a call at 800-453-9538 or visit LexJet.com.